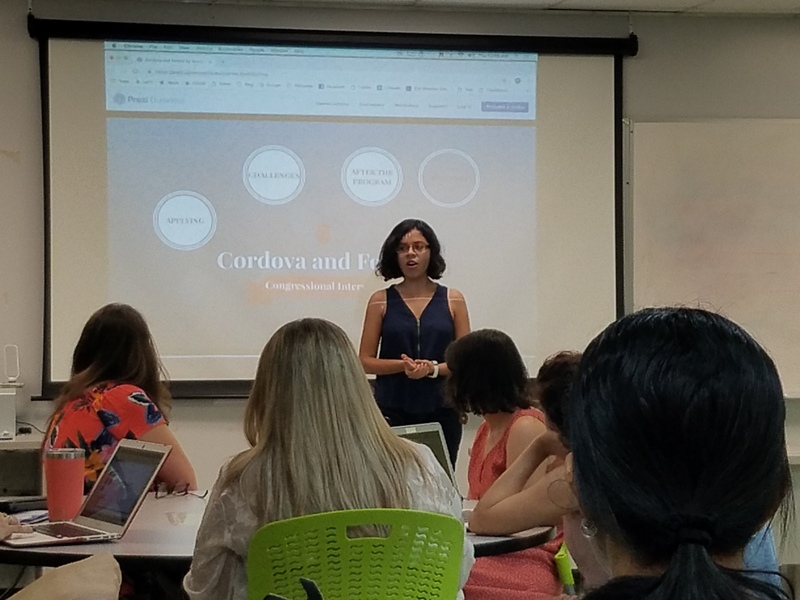 The English Department recently hosted its second annual internship panel “Interning Crossroads: Imagining Future in English and Beyond,” where six Undergraduate English majors gave speeches regarding their experiences in different programs as interns outside of Puerto Rico, and the benefits these opportunities brought to their academic lives. Linguistics majors Angélica Avilés Bosques and Melissa Fuentes Beníquez, and Literature majors Julianna Canabal Rodriguez, Gabriela Díaz Almeida, Ana Marrero Guzmán and Jennifer Mojica Santana shared with us the benefits that came out of those long hours of hard work, while also sharing with the audience their memories of the struggles they faced in the process of applying to these programs. With persisting deadlines, last minute chances to prepare or plan the trip, and a very uneven semester, these undergrads did an amazing job representing their Colegio by giving their all to their respective areas of study in the internships they had applied to. A challenge many Puerto Rican interns face: not being home. Still it’s a one in a life-time experience that you’ll grow from. Melissa Fuentes giving her speech. Helpful tips to have prior to searching for an internship program: Be prepared! Jennifer Mojica giving her speech. 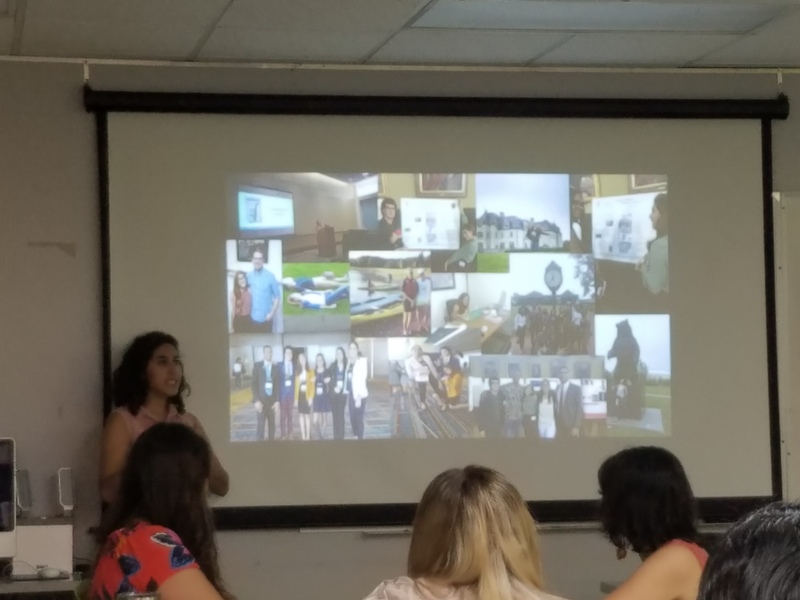 Angélica shared her enjoyment of having worked at the COSI Museum in Ohio for her research internship, and described her participation in the investigation on hand gestures and plurality. Her tedious experience was finding housing while over there, something minimal compared to now having an idea of what to do in terms of graduate studies, and having had a chance to work on a project which focuses on a topic that reminded her of Puerto Rico. “Because we are Puerto Ricans we talk with our hands.” . It’s helpful to find a program that goes along with your interests. Angélica Avilés giving her speech. 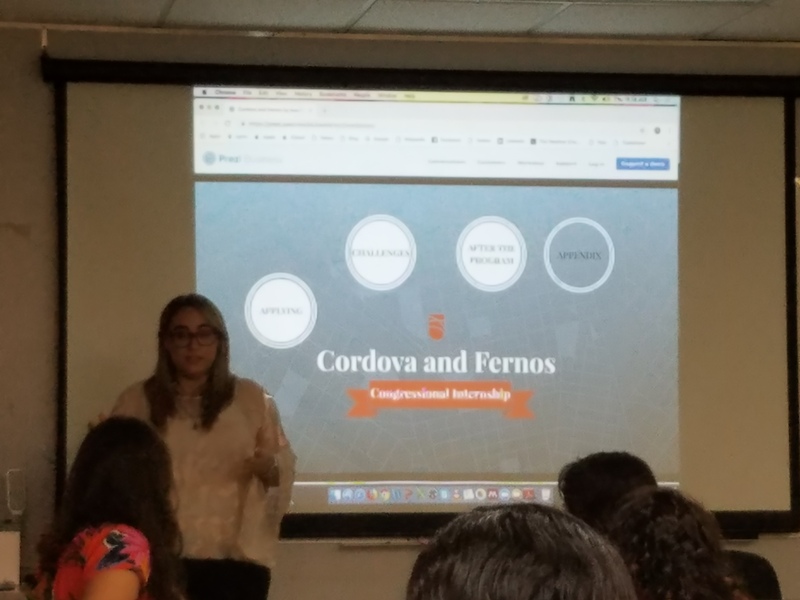 Ana was excited to share with other students the opportunities she had while working with the commissioner of Puerto Rico as an intern, and again that same summer, both because she applied to the Córdovas and Fernós Congressional Internship. Here she not only learned to coordinate tours for constituents of Puerto Rico, but also represented Puerto Rico in a festival which promotes cultural exchange by commemorating the relationship between Japan and the US. 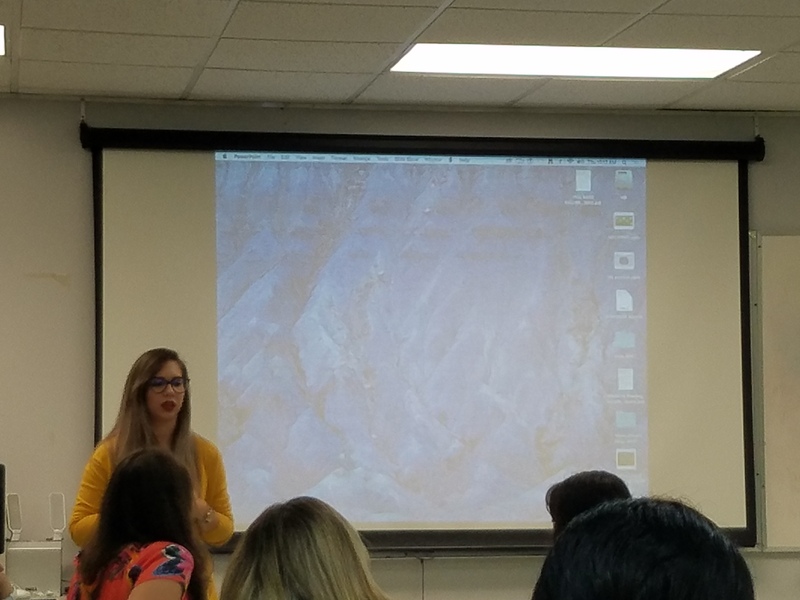 Ana’s only trouble with her internship experience was prior to it: the applying process. External factors are hard to control, so one must be resilient and keep trying when dealing with disruption in scheduled events. Ana Marrero giving her speech. Research is just one part of the internship. Explore every aspect of your internship experience like they did by also learning from the new enviroment you are exposed to. Gabriela Díaz and Julianna Canabal giving their speech. At the end of the panel Drs. 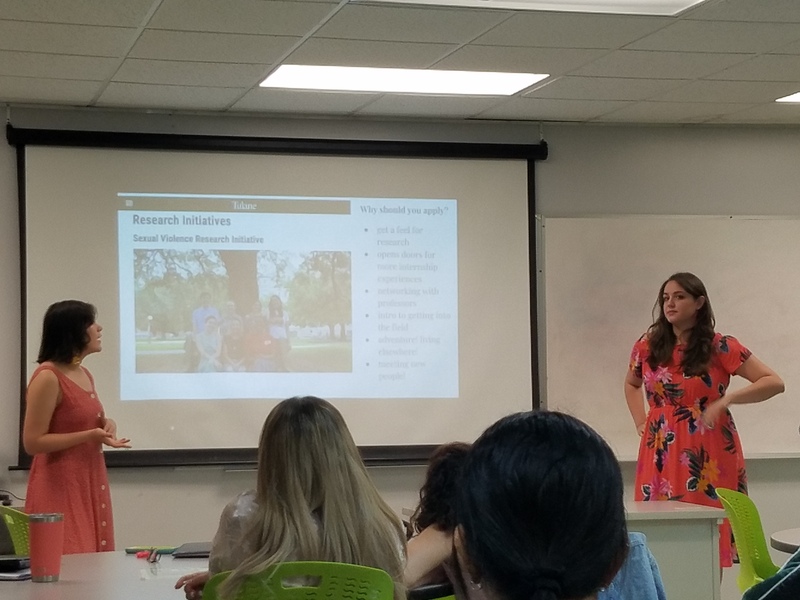 Mary Sefranek and Leonardo Flores briefly informed the guests on how to properly search online for research opportunities or internships like the one’s the panelist participated in. For more information on the panelist visit the link provided here. 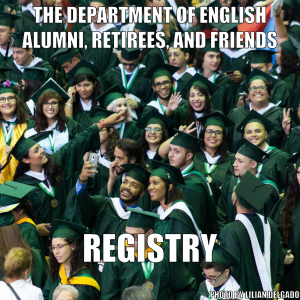 On a search engine of your preference type: REU 2019 [insert your area of interest here] then press enter. There are many opportunities out there! Explore the Internships tag in this website, which leads to many opportunities and student success stories.